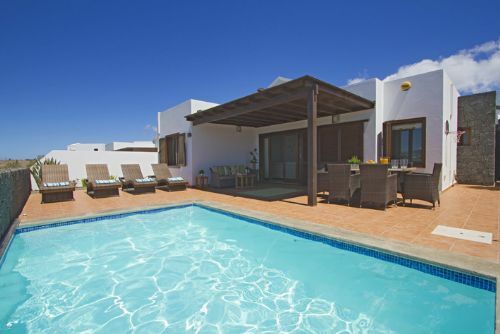 Casa Leansidor, is a gorgeous and spacious 2 bedroom villa with private heated pool, aircon in living room and both bedrooms and free WiFi in Playa Blanca. The villa is located on a peaceful complex with tennis and paddel court and beautiful mountain views. 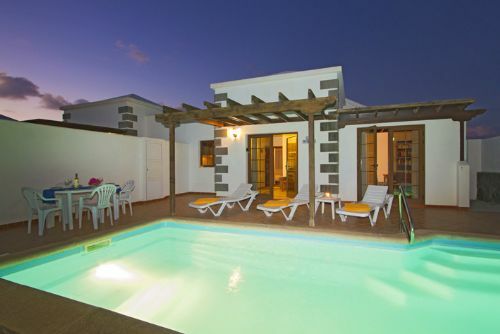 Casa Luciana is a modern and spacious for 4 bedroom villa with heated private pool and Jacuzzi sleeps 8 people. 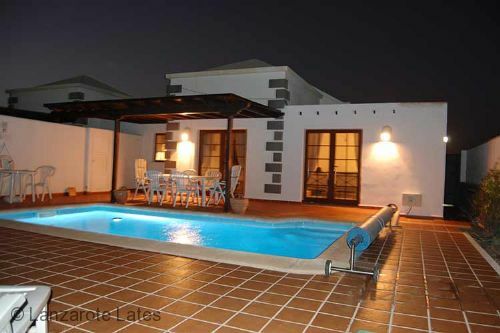 Located in Playa Blanca close to amenities. 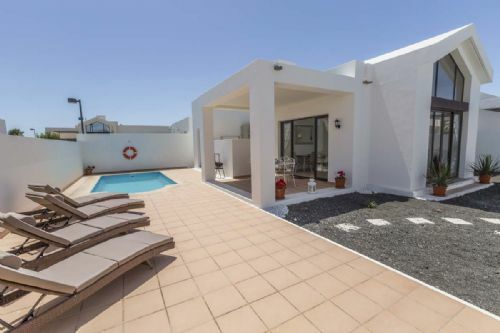 This super semi-detached villa in Parque Del Rey, Playa Blanca has open mountain views to the back, a gorgeous walled front garden and electrically heated private pool. With two bedrooms a heated pool and a location close to resort centre this is a great choice of holiday villa. 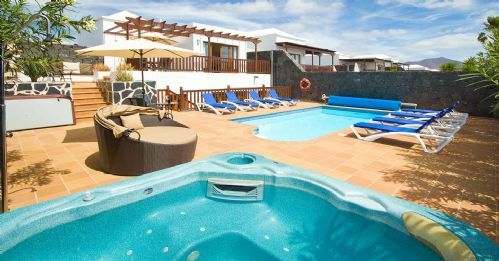 Casa Princesa is an elegantly furnished, new villa in a fabulous near central location in Playa Blanca with a private pool. There's off road parking through a the gated entrance, beside a traditional canarian cactus planted garden. This villa has a fully-equipped kitchen with a washing machine, FREE WiFi, satellite TV, DVD and outside dining area complete with a BBQ. This villa is only suitable for adults.